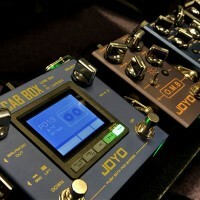 JOYO JF-313 Old School Distortion, the name says it all. 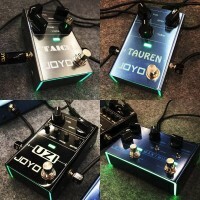 From the latest JOYO pedalsDrawing its classic rock distorted tones from a 2n3904 transistor, this tiny instant classic has a wide range of gain settings. A shave away from a Fuzz. 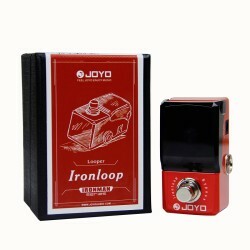 The JF 313 Old School Distortion is taken from the 3rd generation of JOYO pedals, the Ironman series. A result of 8 years of JOYO technology and expertise crammed into a tiny package, giving you lots of space on your board, comes supplied with 2 x 3M self adhesive rubber & Velcro pad to fix your pedals. With a 30dB of low mid boost it can make even the smallest amp sound like a full stack. 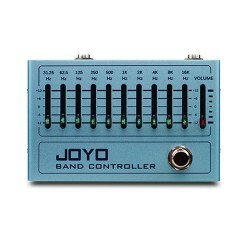 One of the great characteristics of the JOYO mini pedal is that it improves the sound of your guitar, any nuances are ironed out. 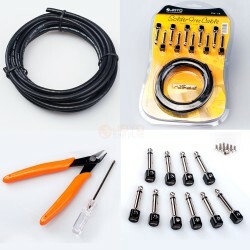 Single coils sound like single coils at every gain setting. The Old School enhances your sound and doesn't plan to mask it. 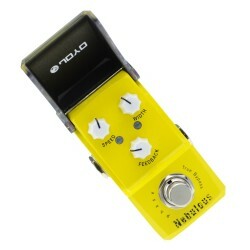 This is what a great pedal does, this one does it.